Mürren, Switzerland is a charming, picture-perfect Alpine village that sits at an elevation of 5,413 ft above sea level. It has a year-round population of about 450, but more than 2,000 hotel rooms showing its dependence on travelers, skiers and tourists. 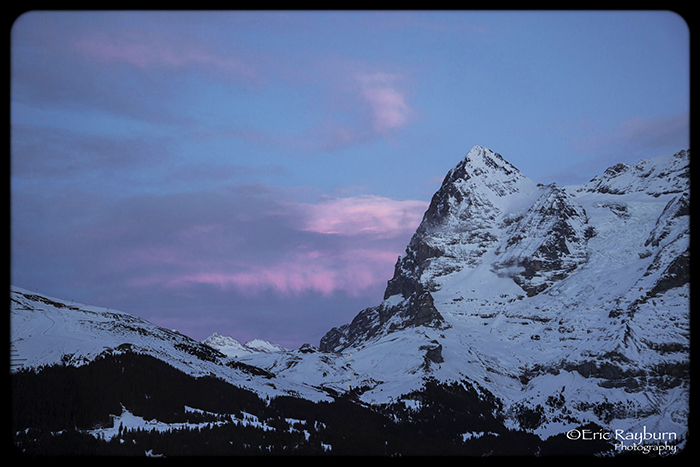 Located within the Bernese Oberland, the village lies between the mountains of Schilthorn (10,000 ft), Eiger (13,025 ft.), Mönch (13,474 ft.) and Jungfrau (13,642 ft.). 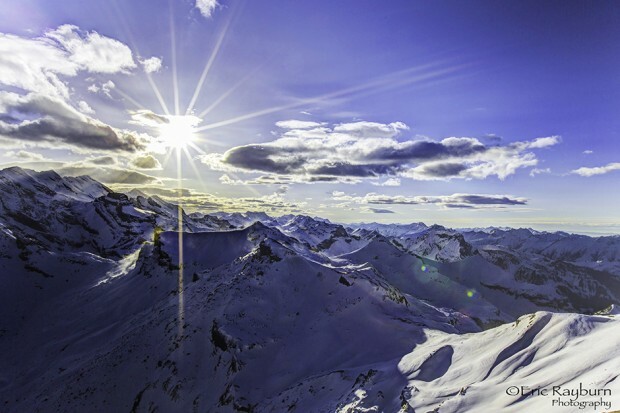 It is a popular destination throughout the year as summer offers almost unlimited hiking trails while winter brings 32 miles of ski slopes with 14 different lifts. Pistes range from intermediate to expert in difficulty. The village is unreachable by public roadways. A train, which connects to a cable car followed by another train, is required to get to Mürren. You can count the number of cars in town on one hand, making it a pedestrian’s dream. The one-way trip from the Zürich airport is about two-and-a-half hours. 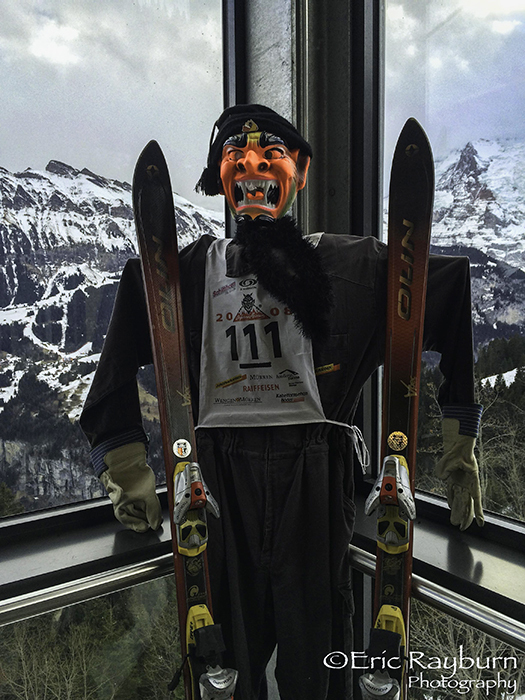 Every January, Mürren plays host to the International Inferno Race, the longest and largest amateur ski race in the world. The competition consists of cross-country, giant slalom and downhill portions. The downhill is 9.8 miles long and stretches from Schilthorn to Lauterbrunnen. Last year, over 1,800 people participated. Playing with the inferno theme, the town is decorated with devils and fire and many people wear masks. Food options in town are limited. Traditional Swiss food (Rösti, fondue) is widely available. A rösti is meat with a sauce accompanied by hash browns. The meats are usually a wurst (sausage) or chicken. Italian and German dishes are generally available as well. Prices are higher than in other European cities, expect to pay around $20 a plate at lunch or dinner. There is a market in town, so self-catering is possible at a lower cost. 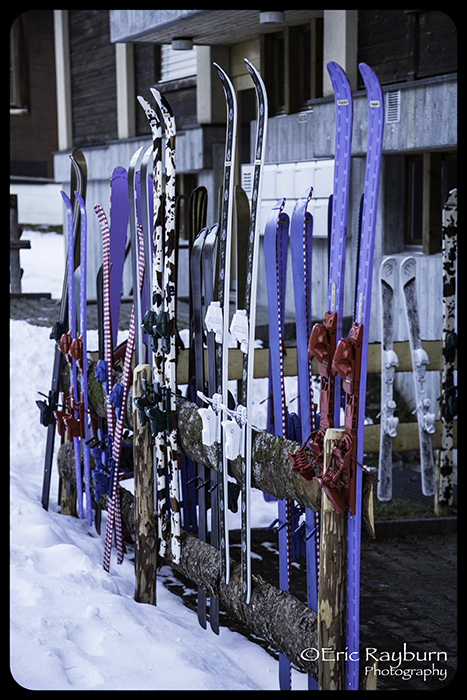 Multiple options exist for lodging, from hotels to chalet rental or a small 12-room guest house. 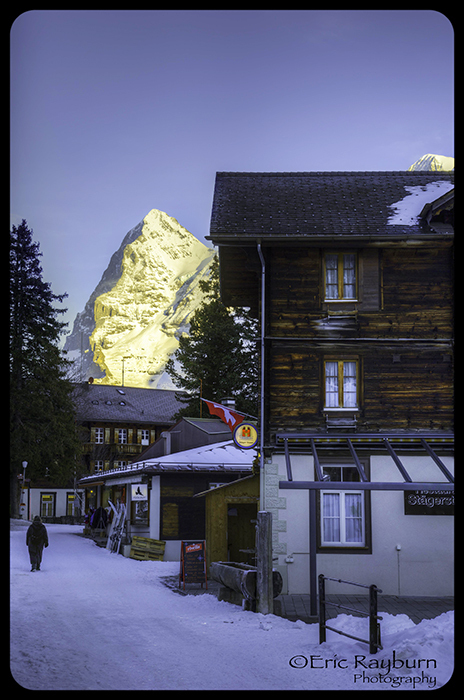 The largest hotel is the Hotel Eiger which also has a separate guesthouse, the Eiger Guesthouse, which offers friendly and attentive service. Other hotels in town include Belville, Edelweiss and Alpina. Rental websites VRBO.com and airbnb.com list multiple chalets for rent as well. Mürren and the surrounding mountains were the setting for the 1969 James Bond film On Her Majesty’s Secret Service starring George Lazenby and the residents are proud of it. 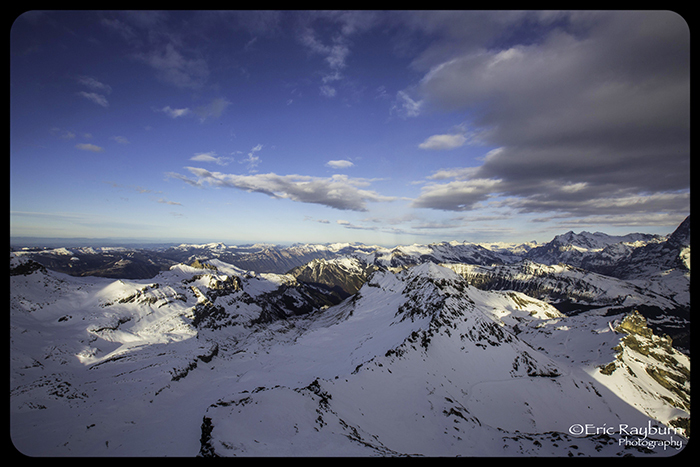 The villain’s mountaintop lair is Piz Gloria, a rotating restaurant at the summit of Schilthorn. Do not miss a trip to the top, for on a clear day the views are panoramic and spectacular. There is also a fun Bond museum with interactive exhibits that’s free of charge. • A bottle of Swiss pinot noir. Get one from the Valais region. These wines rarely make it to the U.S. and are a great value. • A visit to the Tächi Bar at the Hotel Eiger. This was the preferred hangout of Dame Diana Rigg during filming of On Her Majesty’s Secret Service. Have a martini in her honor. • A bowl of venison stew at the restaurant at the Hotel Bellevue. It’s a perfect way to help shake off the chill after a morning on the slopes. • A stop by Pension Suppenalp. A small guesthouse and restaurant with the smallest bar/disco in the area, it is accessible only by skis during the winter and has a coolness caché that if you can get there, you belong there. Great food served by a fantastic staff, the place exudes a Bohemian vibe.